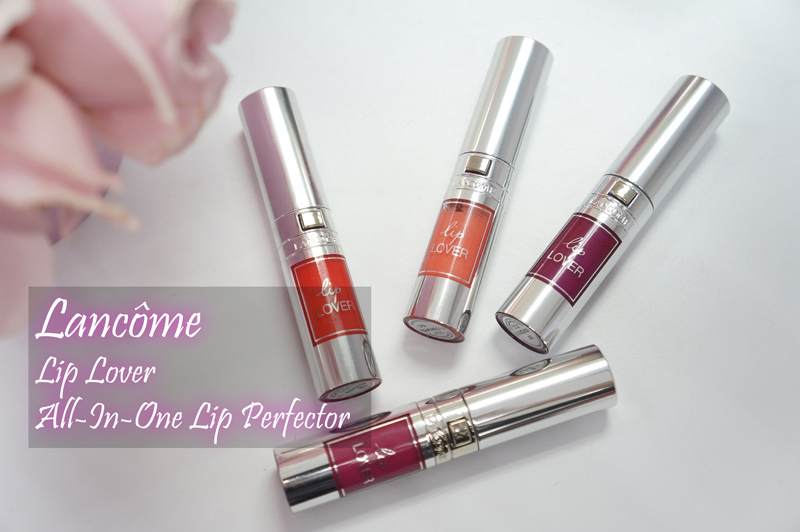 Lancôme has again introduced a product trendsetter that everyone have been waiting for: the Lip Lover. It is an essential accessory that brings out the personality of every look in any occasion. Lip Lover is an All-in-One lip product, combines color, shine and care that one is needed. Lip Lover is a genuine innovation to leave lips flawlessly kissable. Its unique formula keep the lips pigmented with colors and protecting the lips with nourishing ingredients. On top of that, it has a glossy finish to emphasize on a plumper lips. Lip Lover has the three best assets to be the FIRST all-in-one Lip Perfector. With a brand-new melting formula that sublimes lips in one stroke, Lip Lover is able to achieve a pair of kissable, rosy, smoothed and hydrated lips. Infused with lipstick pigments, the shades melt into the intensity of lips’ natural color to reveal their beauty. Subtle and re-plumping shine can be built up and intensified by layer by layer. The secret: an ultra-shiny, non-sticky silicone-infused oil allowing for a glide-on texture that smoothes out any irregularities on application. 8 hours moisture with moisturising agents and lips are nourished as well by the enriched formula. Rosemantic has sweet and soft colors built around with pink theme. 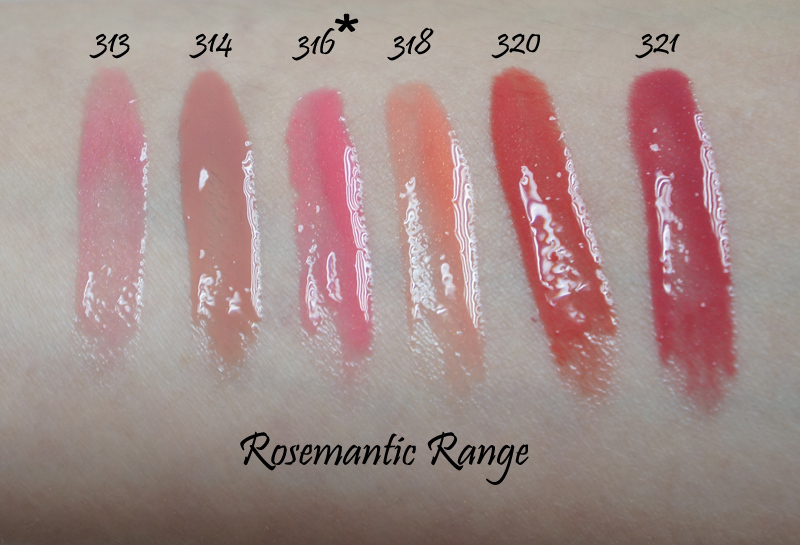 Rosemantic uses nudes and woody roses as their main colors , just like the fresh and delicate roses. If you love soft and natural colors, Rosemantic may be your cup of tea. AmouRose uses Tangy pinks and fruit corals as main colors, giving a joyful feel to your makeup looks. 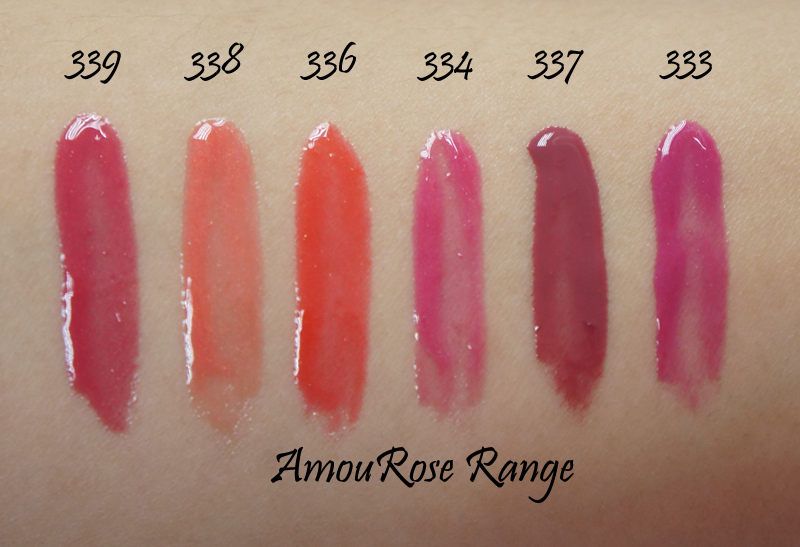 AmouRose has vibrant colors for those who love bright and colorsful makeups. 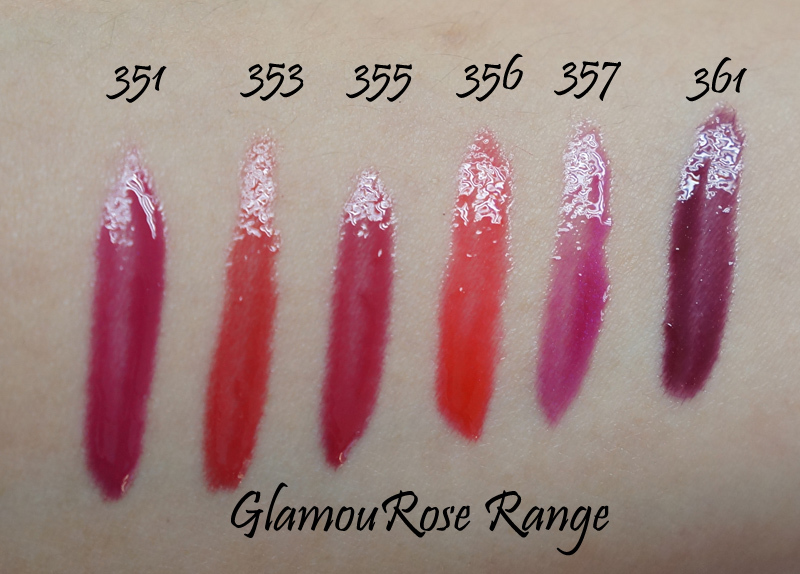 This range is suitable for those who loves pop and outstanding colors on the face. The shade looked darker on the hand but not on the lips. 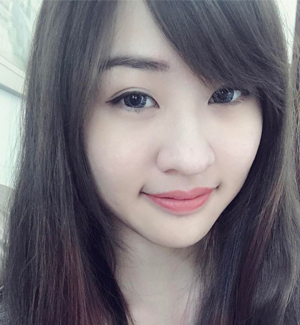 You may scroll down to view the shade on lips. 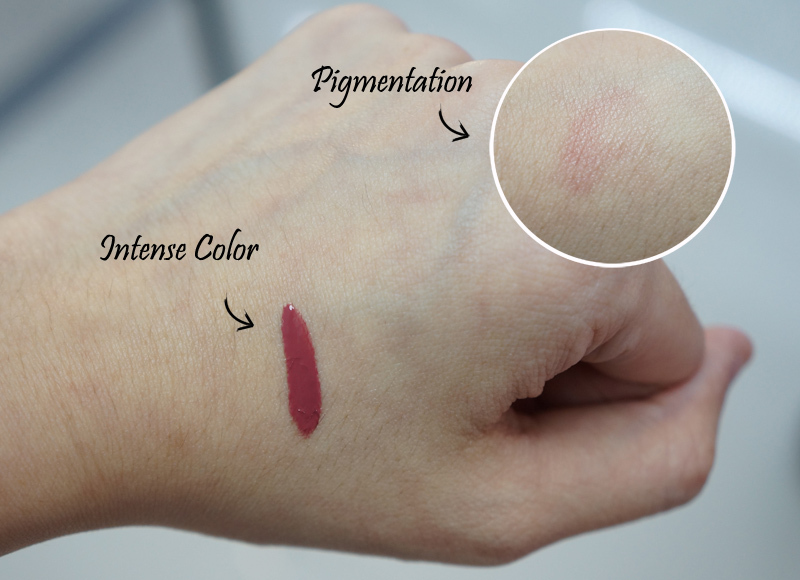 It gives a natural red on the lips instead of a darker shade showed on the hand. One stroke from the Lip Lover is enough to give an intense shade on the lips. You may put on layers to have plumper lips. Aside from its intensity, I'm impressed with the long lasting pigmentation on the hand. I've wiped out the color with tissue and a light shade of red color can be seen on the hand. The color stayed until I cleansed it with makeup remover. Ok... Just a bonus picture of the post. 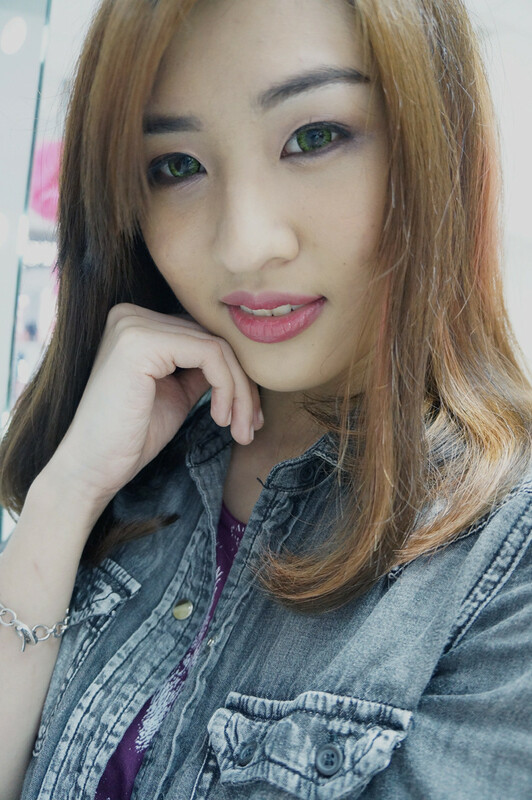 A makeover did by Zamri and I look mature here (○o○)! I will be posting up a detailed review on lip lover that I've received during the launch. Just a sneak peak here, it's an all-in-one lipstick.